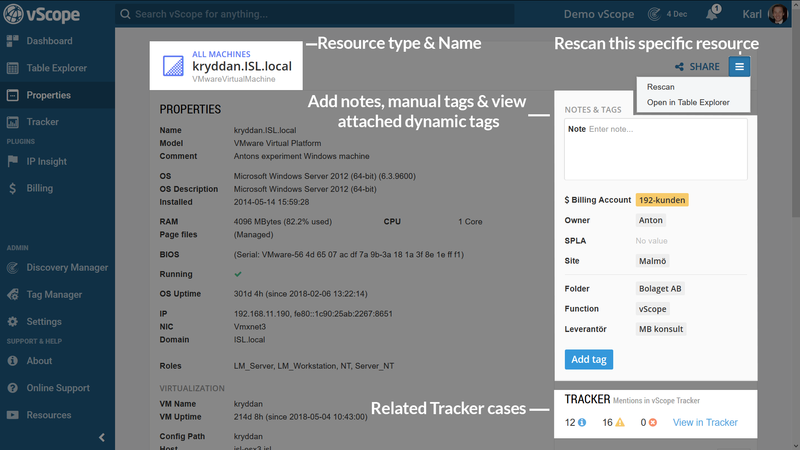 Properties is the complete documentation of a resource that vScope have inventoried. 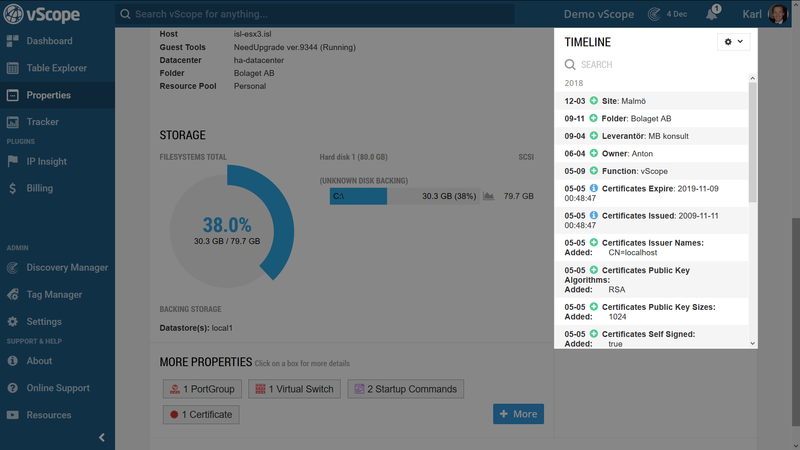 View all information found about a resource and also refine it with custom notes or tags. 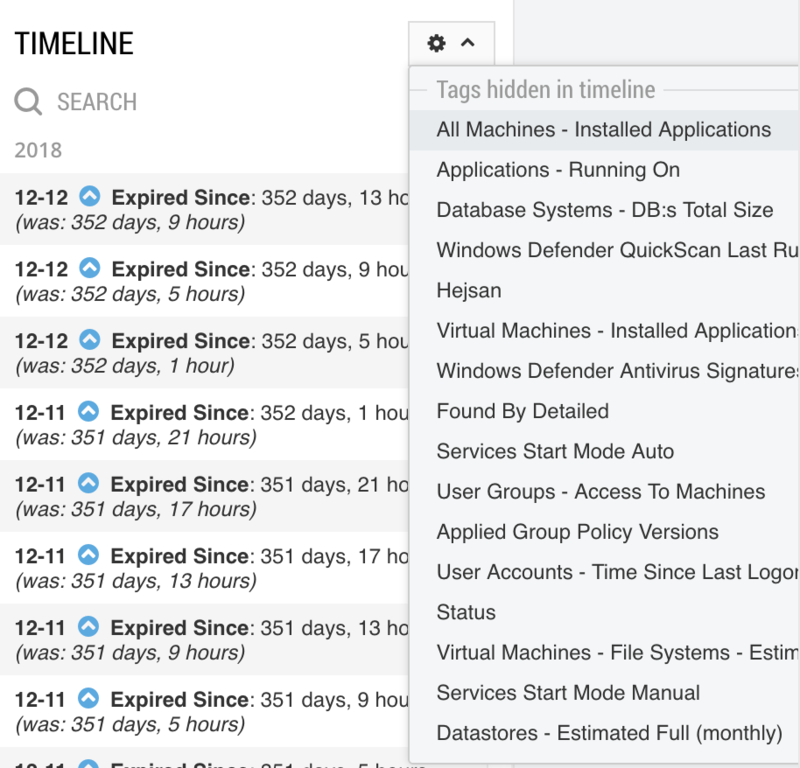 The timeline in Properties shows changes related to the resource over time. If the Timeline shows entries that are not relevant it’s possible to them by clicking the “eye icon” next to the entry. Search for anything vScope have discovered by using the Omnisearch bar. Right clicking on a resource to know more about it in Table Explorer.